The car required lengthy work following its heavy accident at Rockingham earlier this month, including a new rear-end. But thanks to his team’s efforts Wood was back on the grid at the British Grand Prix venue, and left pleased with both his own and the car’s performance. Qualifying saw Wood post a 59.464s to secure 22nd on the grid for Sunday’s opening contest. However that did not tell the full story of Wood’s one-lap pace. In fact the Houseman driver’s time put him within less than a second of pole and just a few tenths shy of works Honda drivers Matt Neal and Gordon Shedden. Given the Avensis’ recent adventures that would prove a satisfying achievement for Wood and his team. They were short on luck in race one however, with a gearshift problem forcing Wood out of contention after 11 laps. That put him at the rear of the 31-car grid for the second outing, but after spending the early stages stuck in traffic Wood began to make progress, climbing to 21st by the time the race was red flagged following a huge accident for Rob Collard’s BMW. That brought an early end to proceedings and curtailed Wood’s chances of making up further places, though he and the team were relieved to learn that Collard had escaped serious injury. Wood made more progress in the final race, climbing as high as 18th spot. However a tap from behind sent the Avensis on to the marbles, costing him a handful of places. Nevertheless, Wood was able to bring the car home in 20th place and, crucially, undamaged. 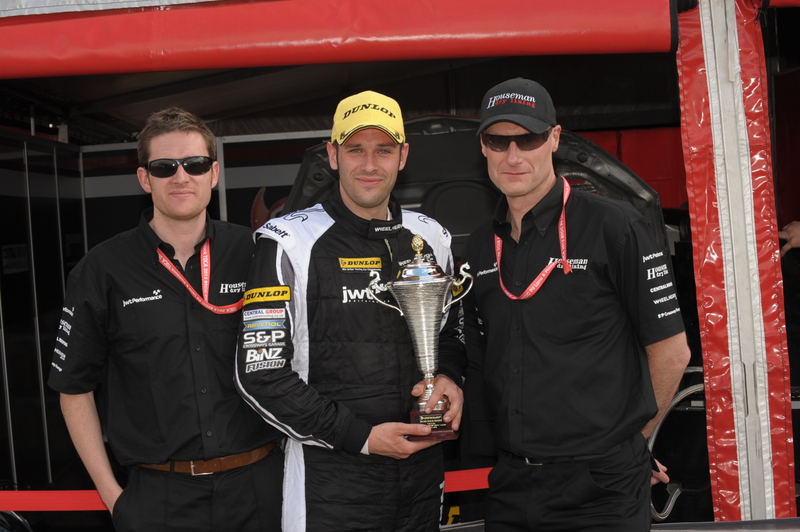 LEA WOOD: “Firstly, a big thank you to the team and our partners for making sure we were back in action at Silverstone. 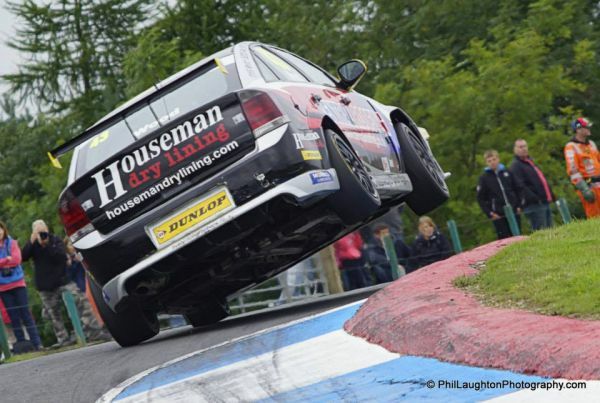 To be within a second of pole in a car that was badly damaged just a few weeks ago was very satisfying. The main aim for the weekend was to get some laps in, so we’re pleased with how things turned out. “After suffering a gearshift problem in the opening race it was good to get through the next two without a repeat; again, that’s to our crew’s credit. I could perhaps have coaxed a bit more pace from the car in the final race, but I was very keen to bring it home in one piece! The 2014 British Touring Car Championship comes to a close at Brands Hatch later this month (12 October) when competitors will take to the Kent circuit’s longer ‘Grand Prix’ layout.